Why See Rob Zombie and Marilyn Manson? 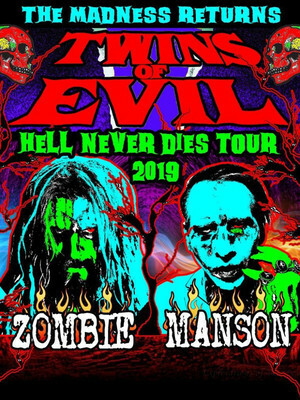 Shock rockers Marilyn Manson and Rob Zombie are once again forming an unholy alliance and returning to the stage with the hellfire of their explosive alt metal during their mammoth co-headline Twins Of Evil: Hell Never Dies tour. The trek marks the third outing for the spooky pals, and will bring a little Halloween chill to stages all over the country this summer! 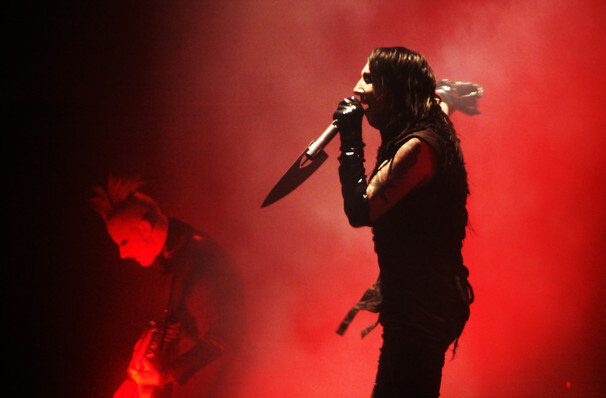 Both mainstays of the alternative scene, Manson and Zombie know a thing or two when it comes to putting on a memorable show. Expect multiple costume changes (we're talking gas-masks, crosses, skulls and studded leather) and retina-searing pyrotechnic displays as smoke swirls around pulse-quickening industrial electronics, fizzing ambiance, aggressive, fuzz-laden guitars and pounding drums to reveal each frontman in all their theatrical glory. Sound good to you? 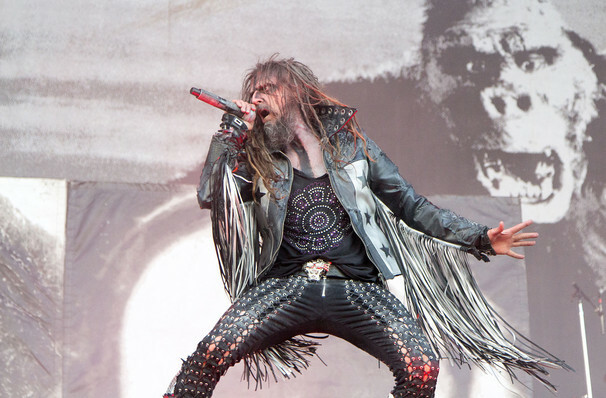 Share this page on social media and let your friends know about Rob Zombie and Marilyn Manson at Moda Center. Please note: The term Moda Center and/or Rob Zombie and Marilyn Manson as well as all associated graphics, logos, and/or other trademarks, tradenames or copyrights are the property of the Moda Center and/or Rob Zombie and Marilyn Manson and are used herein for factual descriptive purposes only. We are in no way associated with or authorized by the Moda Center and/or Rob Zombie and Marilyn Manson and neither that entity nor any of its affiliates have licensed or endorsed us to sell tickets, goods and or services in conjunction with their events.